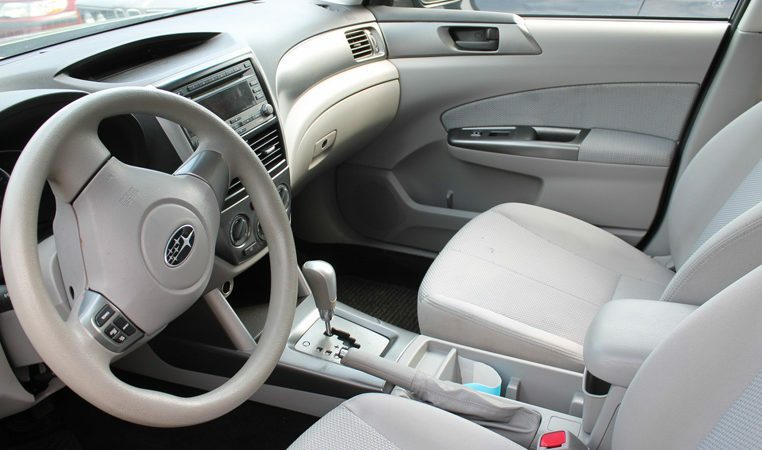 This Legacy is roomy inside, handles great, and is in excellent condition. Come in for a test drive! 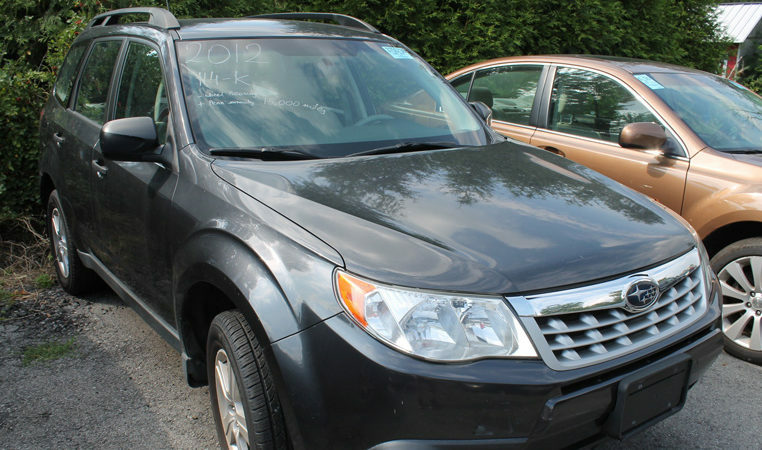 This 2012 Forrester is in excellent condition. It has a timing chain, therefore there is no need to change a timing belt. 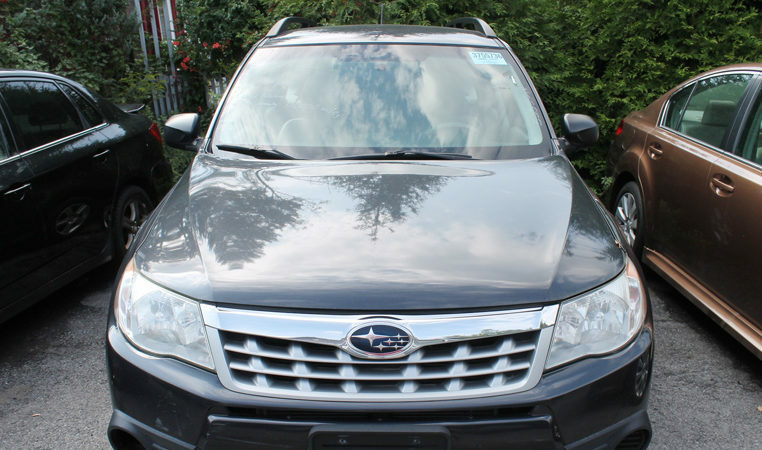 The 2012 Subaru Forester drives more like a car than like an SUV and it features a superb all-wheel-drive system giving it excellent foul-weather capability. A compact SUV that seats five, the Forester offers good cargo capacity. It competes with the Honda CR-V and Toyota RAV4, but the Forester offers much better handling than those two, on dry pavement but especially on wet pavement, snow, ice or dirt. For 2012, there are only minor changes. Among them: 2012 Forester Limited and 2012 Forester Touring models offer an integrated navigation system with a 6.1-inch touch-screen display. 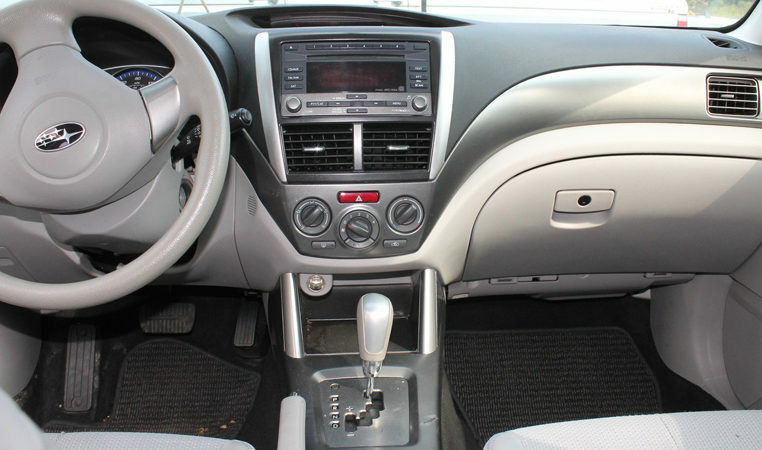 Included in the navigation package is a rearview camera and an AM/FM/HD/CD stereo with six speakers (seven on Touring), voice-activated controls, Bluetooth hands-free phone connectivity and audio streaming, iPod control capability, iTunes tagging, USB port, 3.5mm auxiliary input jack, SMS text messaging capability, and satellite radio capability. The old removable Tom-Tom nav system is still offered on 2.5X Premiums with automatic transmission. 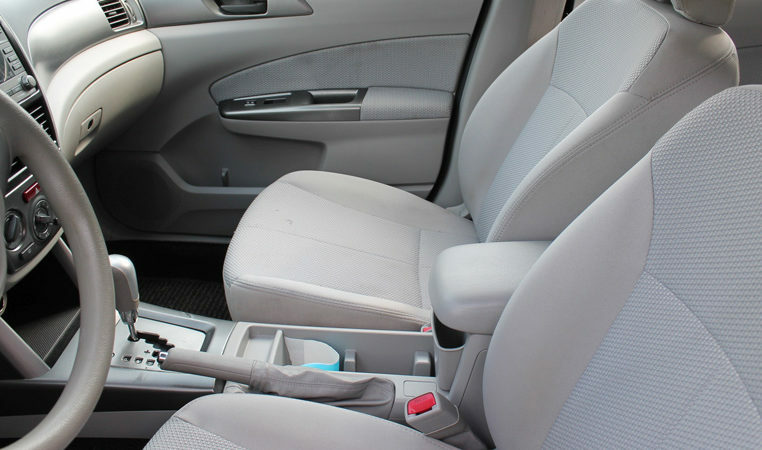 Also new, the front-passenger seat adjusts for height on all 2012 Subaru Forester models. The Subaru Forester is a very practical vehicle. The rear seats are split 60/40 and easily fold flat to make a gigantic cargo area capable of carrying lots of gear. Rear-seat legroom is excellent, at 38.0 inches. That alone is a big plus, and it’s one of the reasons the Forester is such a good family vehicle. The front doors are wide, and the rear doors swing open 75 degrees and feel light, making it easy to get in and out. The Forester is supremely secure in its sure-footed handling. It will go around corners like few SUVs, with its all-wheel drive working to grip the road. Subaru excels at all-wheel drive. The Forester has a low center of gravity thanks to its horizontally opposed engine mounted low in the chassis. The suspension is solid but doesn’t feel too firm, while its long travel offers a comfortable ride and better grip on rough roads. Rack-and-pinion steering helps give the Forester a tight steering radius, tighter than the RAV4 or CR-V, making parking and maneuvering easy. It all adds up to an enjoyable and capable vehicle to drive. The Forester is supremely secure in its sure-footed handling. It will go around corners like few SUVs, with its all-wheel drive working to grip the road. Subaru excels at all-wheel drive. The Forester has a low center of gravity thanks to its horizontally opposed engine mounted low in the chassis. The suspension is solid but doesn't feel too firm, while its long travel offers a comfortable ride and better grip on rough roads. Rack-and-pinion steering helps give the Forester a tight steering radius, making parking and maneuvering easy. It all adds up to an enjoyable and capable vehicle to drive. Winter Ready with Snow Tires!